Having impressed by the Bose SoundLink Mini, I took in the Bose SoundDock Series III for a review. While this is not a new model, the purple colour is a new limited edition release in Singapore which will appeal to colour lovers. 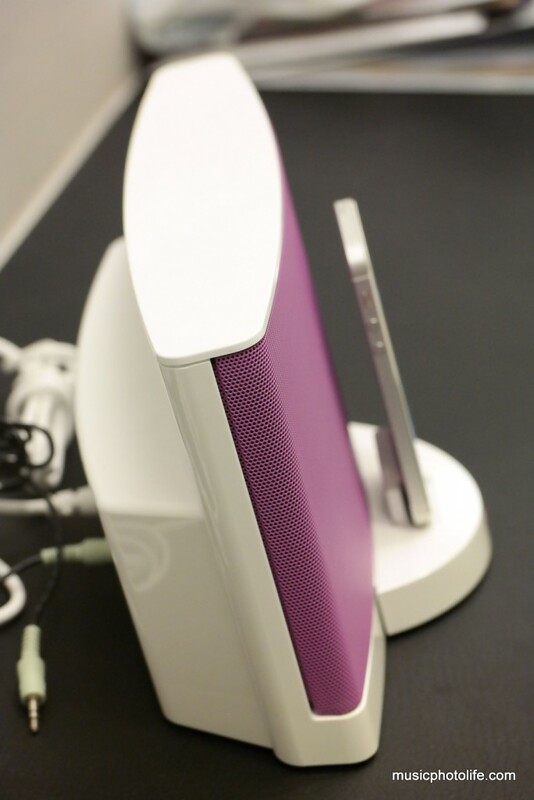 The SoundDock Series III supports iOS devices with Lightning connector. 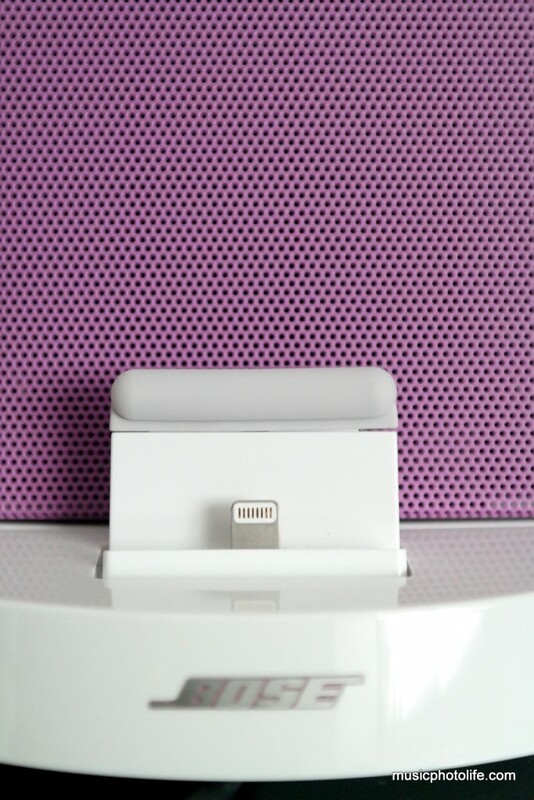 The dock can flex a few degrees, so you can dock and undock your iPhone or iPad without damaging the connector. It also comes with a Aux line-In connector for playing back via 3.5mm audio cable. Its remote control lets you change tracks and playlist, adjust volume, play/pause music from your iOS devices. If your iPhone casing is too thick, the dock might not work. The SoundDock has a sound characteristic of clear highs, recessed mids, and unexaggerated lows. You could still hear the nicely defined bass and subwoofer (unlike most portable speakers), but at high volumes, they get drowned by the crisp tweeter. 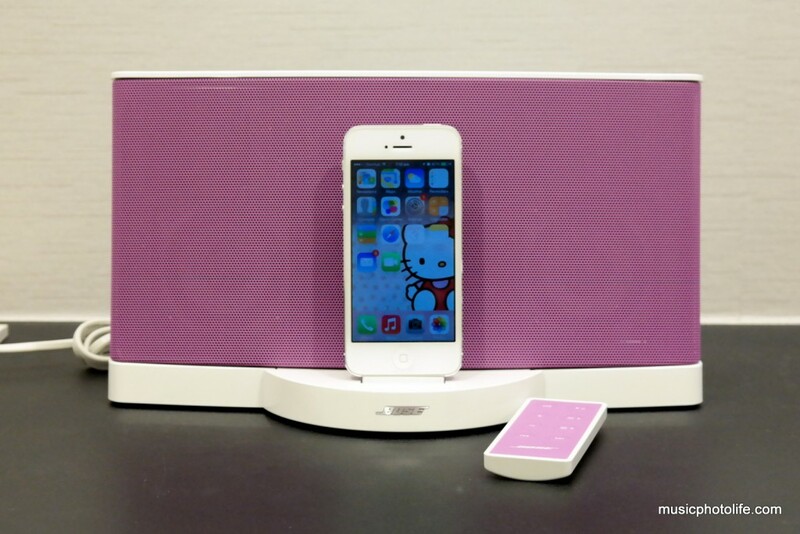 This dock would sound great with music genres like jazz, instrumental, light pop. Heavy rock or loud techno probably won’t go well. Despite the shy bass, the overall tonal quality is excellent. Highs are not distorted and bass is well formed. The SoundDock doesn’t come with any EQ presets or audio effects. Not that I need it, but it would be good to have for quick EQ when playing different tracks. With today’s improved wireless audio technology, I’m not sure if hard docks still makes sense, as it would be rather cumbersome to use the iPhone while docked to check your social feeds, reply messages, or answer calls. The SoundDock would be more useful if it supports USB data pass-through so that your device can sync to your computer while docked. The Bose SoundDock Series III is now available in Singapore electronic retail stores at S$529. 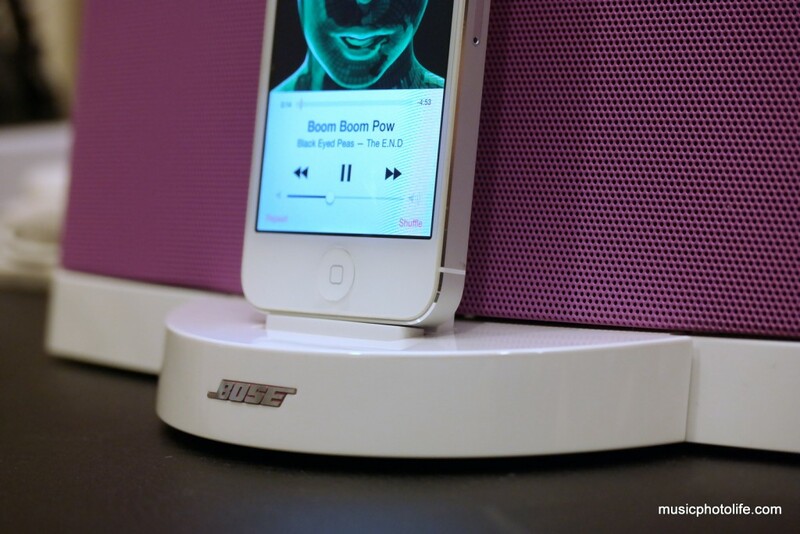 Pingback: Bose SoundLink Bluetooth Speaker III: Review – Music.Photo.Life.